Lace your skates! 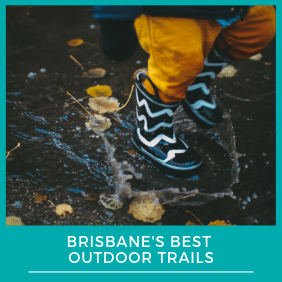 Brisbane has some fantastic skating rinks the whole family can enjoy – so get ready to hit the rink! Whether you’re a first-time skater or you cruise like a pro, you’re sure to find a session to suit. Beginners can learn at their own pace, or join one of the learn-to-skate sessions on offer. Either way, you’re sure to have a blast at this fun, family-friendly activity. You might also be interested in our information about iceskating in Brisbane. Escape the heat and get active at Digi Roller Skating Rink. The large, air-conditioned rink offers patrons a fun, family friendly environment, and is suitable for all ages and ability levels. Snacks, drinks and hot food are available from the onsite canteen. You can hire skates or blades, and there is a skate shop selling skates and equipment. Visitors can also purchase family or multi-session passes for discounted entry rates. Fun skate sessions Fun skate sessions are run on Saturdays and Sundays. Friday nights are a special treat with an RnB session held between 7.00-9:30pm. The session includes games, music and prizes. Please note, sessions may vary during the school holidays. Learn to skate and blade Skate Star learn-to-skate sessions are run by expert coaches and cater for beginners through to advanced skaters. With certificates and prizes presented as skaters advance through ‘star’ levels, Brisbane kids will love gaining these new skills. No bookings are necessary and sessions are held Wednesdays, Thursdays and Saturdays. Skating parties Take the stress out of party planning and have a Digi Roller Party. Party packages offer many upgrade options, including a pizza party option on Saturday nights. Parties can be hosted in any Saturday or Sunday session and require a minimum of 10 people. Skateaway is an air conditioned, fully supervised Family Skate Centre. Skates, rollerblades and protective gear are available for hire or you can purchase items from the skate shop. The site also holds a canteen where you can purchase a variety of drinks, snacks and hot food. Skate lovers can also purchase a frequent skater pass and start earning points towards entry, the snack bar or skate shop. General Sessions There are several types of general skate sessions to choose from. From standard sessions on the weekend, to cheap skate night on Tuesdays or under seven’s TOTS skate on Thursdays. Not to mention Friday night TOP 40 music sessions running from 7.00-9.00pm. Please note, session times may vary during school holidays. Learn to skate and blade Learn to skate and blade sessions are open to people of all ages and abilities with separate adults only sessions also available. The one-hour class allow skaters to advance at their own pace and are conducted throughout the school term and on school holidays. Skating parties Party sessions make birthdays at Skateaway Albany Creek a breeze. With several options to choose from, including pizza and sushi skate parties, you’re sure to find the right party option for your child. Feel the wind blowing through your hair as you skate through the rink cooled down by a huge, recently installed ceiling fan. Stafford Skate Centre will keep the kids amused for hours with their fun, family-friendly entertainment. Visit the skate shop for all your skating or blading needs, or hire your gear from the skate hire counter. Re-live your youth and show the kids some of your best skating moves! General Sessions General Sessions are run on Friday evening and throughout the weekend. The DJ keeps the fun alive with games, dances and other fun activities. Please note, session times may vary during school holidays. Learn to Skate and blade Learn to Skate classes are held on Saturday mornings and Wednesday evenings. Skating parties A party at Stafford Skate Centre is fun and easy. The cake is taken care of, kids will get a drink, ice-block and chocolate treat. All you have to do is join in the fun. Daytime and evening parties are available and require a minimum of 10 guests. Retro skate nights, all night skate nights and lots of other fun events are regularly on the calendar at Skateaway Bundamba. This fully air conditioned skating rink has skating equipment to hire, a canteen for snacks and drinks, and offers great value packages for birthday parties or fundraising activities. On Tuesday and Thursday afternoons, there are discounted skating sessions between 3.30pm and 5.00pm. Friday nights are Top 40 Music skate nights between 7.30pm and 10.00pm. There are morning, afternoon and evening sessions on Saturdays, and an afternoon session on Sundays. Please note, session times may vary during school holidays. Currently there are no learn-to-skate sessions offered, but there are skate fitness classes on a Wednesday evening. At Skateaway Bundamba, a party host will ensure everything runs smoothly for you, and will coordinate the party food, drinks, birthday cake, and ensure that the birthday boy or girl will have their birthday announced, along with a special song and dance! Join in the fun and hire yourself some skates to join the kids. Some kids may be hesitant to skate at first but they’ll feel much more confident when they see their parents having a go. Some rinks don’t allow you to bring food or drinks into the venue, so you may want to give them a call or check the website before you visit. Skating is a fun and safe way for teens to enjoy their Friday and Saturday nights. Drop them off with some friends and rest assured they will be socialising and have a blast for hours. 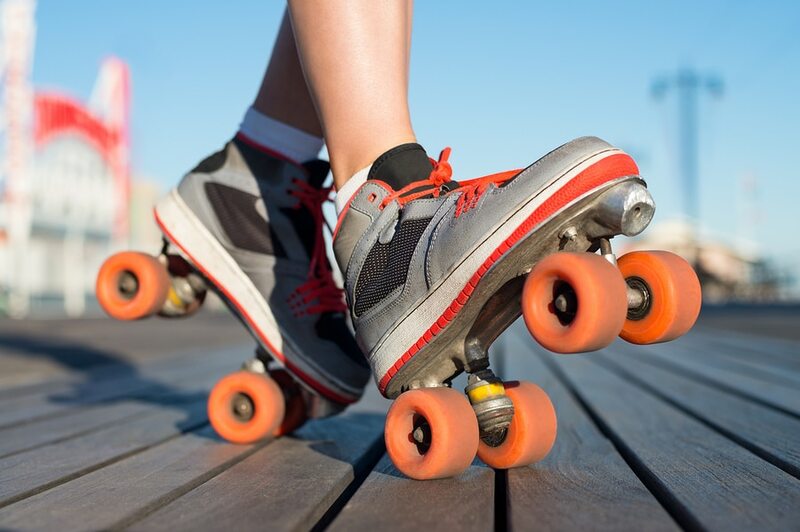 First time skaters should try both skates and rollerblades, to see which one suits them best. Timid skaters can turn out to be adventurous rollerbladers, and vice versa. Hire some safety gear if your kids are unsteady on their wheels; sometimes a little fall can zap their confidence. Offer encouragement and be patient. Try one of the quieter sessions if you’re a newbie, as it is much harder to learn when you have the pros whirring past you. Or you may want to join one of the learn-to-skate sessions. Don’t forget your socks. While most rinks sell them, save yourself the expense and bring some from home. Tell All Your Friends About This!